White and black is a duo that will never go out of fashion. In the Zoey dress, these colours intertwine to create an elegant and feminine blend! 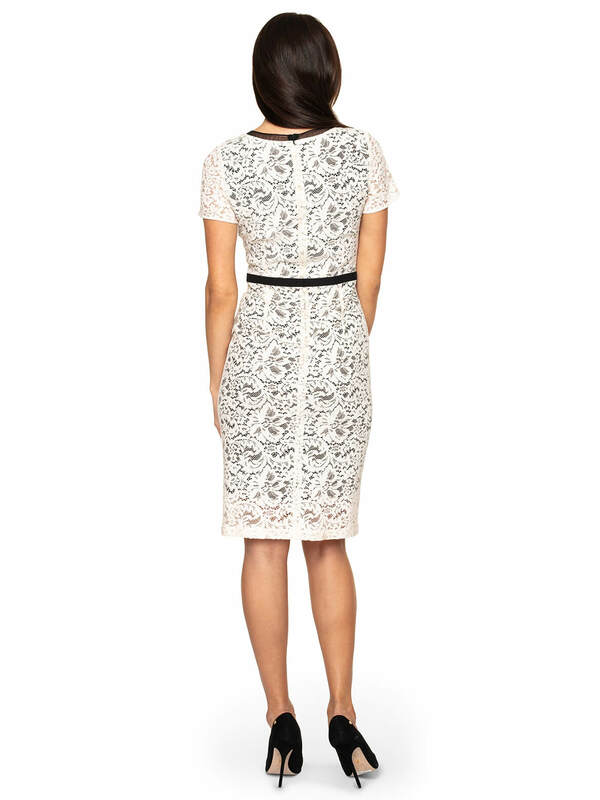 Zoey is a white lace dress with short sleeves. Ideal for special occasions. Its light colour will emphasize the summer tan. It has a semicircular neckline, which is additionally decorated with black piping and shiny jets. The waist was emphasized with a similar strap. The dress reaches in front of the knees and has a small opening. Keep the black and white balance of Zoey style and add accessories in one of these two colours. Black classic high-heeled shoes and a lacquered clutch bag will be a good companion for her. Also bet on gold or silver jewellery.